Students can matriculate from the Diploma of Interactive Digital Media or Diploma of Screen and Media into the degree program. Recognition of Prior Learning is granted wherever possible. 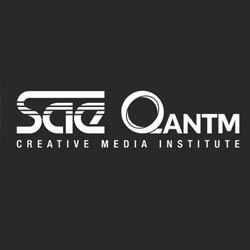 SAE is the leading global specialist in creative media education with courses in Animation, Audio, Design, Film, Games and Web & Mobile. Established in 1976, SAE now spans the globe with 51 campuses in 24 countries. In Australia, SAE provides government accredited Certificates, Diploma, Bachelor and Postgraduate courses across 6 campuses in Brisbane, Byron Bay, Sydney, Melbourne, Adelaide and Perth. SAE offers programs that as higher education qualifications, are eligible for full fee funding assistance under FEE HELP. With SAE from day one, you’ll start creating in world-class facilities, on the latest software and equipment, under the guidance of expert lecturers. Students can fast-track their learning to be degree qualified in two years. On completion, students are well equipped to enter the creative industries. SAE’s specialised courses are responsive to the dynamic and evolving nature of these industries. During their studies, students can undertake professional placements, internships and work experience relevant to their chosen fields, and showcase their work to industry and the general public at various exhibitions.